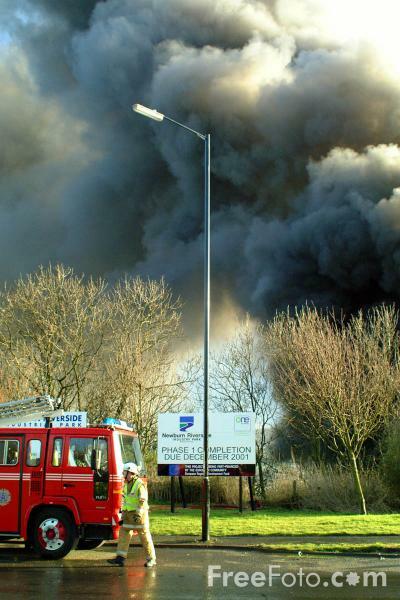 Photographs of 1,000 burning tyres on fire on derelict land in Lemington Road, Newburn, Newcastle upon Tyne. The Dense smoke from the tonnes of burning rubber filled the sky and risked causing local pollution. VIEW: More images from the category 1,000 burning tyres on fire or around the same time .